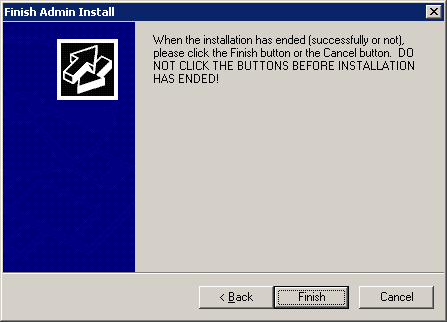 Installing an application on Windows Server 2003 with Terminal Services. Does this crap still exist in newer versions? Everything about it is wrong. Or rather: EVERYTHING ABOUT IT IS WRONG! Update: Yes, it still exists in Server 2008. Couldn't even be bothered polishing this turd, Microsoft?